​Barcelona are reportedly relaxed about their chances of landing Ajax talent Frenkie de Jong at some point in the future, despite the emergence of rumours that a €70m bid from rival club has been submitted for the very highly rated Dutch international. Barça are far from the only club linked with De Jong in recent months, with Manchester United, Manchester City, Real Madrid and Tottenham all supposedly tracking the player. A report from Mundo Deportivo (MD) suggests that the Catalans believe Manchester City to be the club behind the €70m offer, as they are obviously well versed in the workings of City executives Txiki Begiristain and Ferran Soriano. Yet Barça apparently are not rushing to match the Premier League champions with an offer of their own. MD suggests that is the case because it remains the belief inside Camp Nou that de Jong himself is in no rush to decide his future and leave Amsterdam. And so while City have supposedly put an offer on the table, what de Jong wants is currently something different. Barça won't therefore hurry themselves into action when they know that the player won't be going anywhere until he feels he is ready. As MD puts it, the situation is very much in the player's hands. 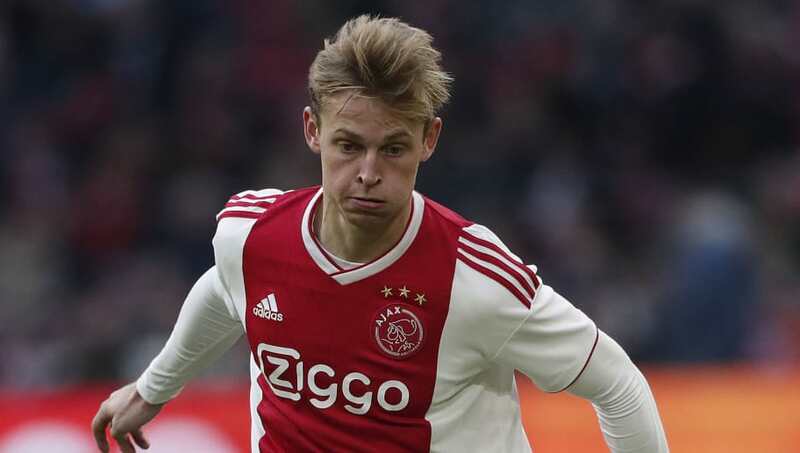 What's more, the Catalan newspaper also claims that when de Jong does change his mind and look to move on from Ajax, Barça are 'confident' that he will still choose them over other suitors. The example given is the chance of playing with Lionel Messi for a few years before he retires.